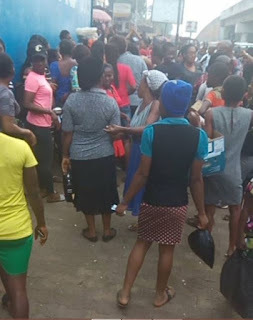 A heavily pregnant woman going about her trading business in Anambra State had to deliver in public with the aid of passers-by. 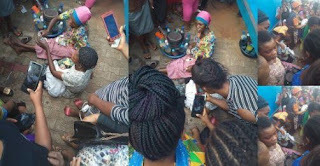 A yet to be identified woman. 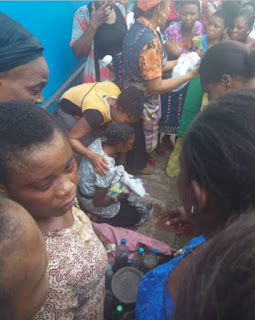 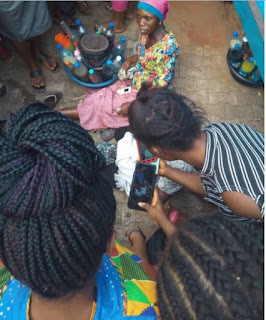 According to photos shared online, a woman delivered a baby while selling her herbal drinks this morning in front of Atlantic plaza, Nkpor, in Anambra State. In the photos shared, the said lady can be seen surrounded by people looking at her and taking pictures, while she sits in front of the plaza with her herbs by her side.